The Union has begun Interest Based Bargaining with the Employer. Meetings will take place Thursday May 11th and 12th. 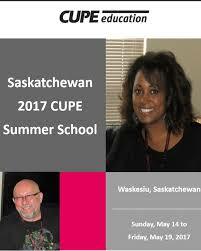 The Education Committee will be sending up to 8 members to the CUPE Summer School on May 14 – 19, 2017 in Waskesiu. Below is the link for the Brochue which you can look at courses offered. 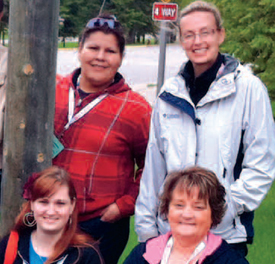 both the Norm Quan Bursary and the Glen Makahonuk Scholarship. For more information on the Norm Quan 2017 Bursary and the Glen Makahonuk Scholarship please see the Resources page on the left side of this Website. 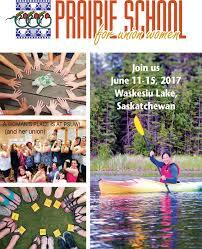 The Union will be sending delegates to the Prairie School for Union Women. You must fill out the application form listed below and submit this to the Union office – Room 21 McLean hall prior to March 14th, 2017. Kenneth Cole Bag: Will let you know winner after Christmas as being used as a Christmas gift. The union initiated a grievance where we questioned the employer taking pension contribution holidays. The Employer’s grievance against CUPE Local 1975 was heard by an Arbitration board on March 29, 2017. As a reminder, the employer has filed a grievance to determine whether or not they have the right to make changes to our pension plan without our consent. We are awaiting a decision by the Arbitration board – which may take several months. Both parties have agreed to put the union’s pension grievance against the University of Saskatchewan on hold while the parties discuss and negotiate pension matters during collective bargaining. We are hopeful that we can achieve a satisfactory resolution but if not, we can continue with the arbitration of our grievance. When we discuss pensions at the bargaining table, we will have the additional resource of our pension experts from CUPE National who will assist with that aspect of negotiations. Several bargaining dates are set for May and June, and into the fall. We look forward to getting underway in the coming days and weeks and we will keep the membership posted. Your bargaining committee knows how important our pension plan is, and we are prepared to do whatever it takes to protect it into the future. If you have any further questions regarding the above please call the Union office at 966-7015 and Evelyn will direct you to one of the members on our negotiating team. Due to some preliminary legal matters that were unable to be resolved prior to the arbitration dates, the arbitrations have been rescheduled for April 24-28, 2017. We have asked the employer to provide us with prospective dates for negotiations.